Director of Economic and Community Development to lead Authority. 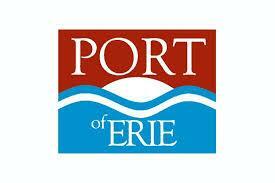 As of 1 p.m. Tuesday, Aug. 26, the Erie-Western Pennsylvania Port Authority has a new executive director: Brenda Sandberg. The announcement of Sandberg's appointment comes on the heels of the retirement of Raymond Schreckengost, who served as the Port's executive director for twenty years. His final day in the post will be Oct. 31. Sandberg currently serves as the director of economic and community development for the City of Erie, a position she's been in since Oct. 2011. Prior to that, she served as the executive director of the Erie Downtown Partnership and was a zoning officer for the City of Erie. According to a press release issued by the Port, "Brenda comes to us with an extensive amount of experience in government functions, public relations, grant writing, economic development, and is a lifetime Great Lakes resident. We feel strongly that Brenda will continue the good works that we have enjoyed under Mr. Schreckengost's direction. The Board of Directors takes their role of managing the assets of the Erie Bayfront very seriously, and we will give Brenda the necessary support to manage them for the good of the region." Check ErieReader.com for updates regarding this appointment, and follow us on Twitter @ErieReader.com.